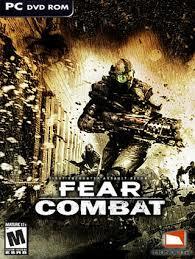 FEAR is a psychological horror first-person shooter developed by Monolith Productions and published by Vivendi Universal and the first game in the F.E.A.R. series. It was released on October 18, 2005, for Microsoft Windows, and ported by Day 1 Studios to the PlayStation 3 and Xbox 360. The game’s story revolves around supernatural phenomena, one of which F.E.A.R. (an acronym for First Encounter Assault Recon)—a fictional US special forces team—is called to contain. The player assumes the role of F.E.A.R.’s Point Man, who possesses superhuman reflexes, and must uncover the secrets of a paranormal menace in the form of a little girl. F.E.A.R. was released on Steam on May 21, 2010, and includes both expansions and the Director’s Edition bonus content. 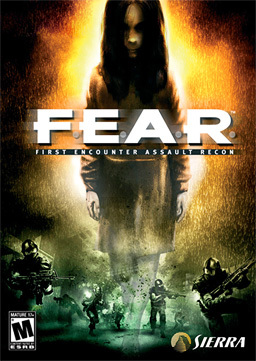 On August 17, 2006, F.E.A.R.’s multiplayer component was retitled F.E.A.R. Combat and made available for free download. During the next years, Monolith, Punkbuster, Sierra (Activision) and WBGames ended their support for the game. The Original page of the game stopped offering new CDKeys. This meant that new players could not play and led to a decline in the game. With the FEAR Master Server Shut down by GameSpy on December 5, 2012, the game couldn’t find running servers, and servers couldn’t be run anymore. Since 2012, a group of FEAR players and supporters started working in the fix of the most critical issues in the game, creating the FEAR Community. Their Server patch added the capacity to use New CDKeys and a Final Solution to Server Crash Attacks by Hackers. With the Master Server shutdown, we released (that same day: December 5, 2012) the FEAR Launcher as a workaround to find and connect to Servers, and 1 month later, the first FEAR patch, that Restored the Game Functionality to the original state, but this time with our own Master Server, instead GameSpy services. We continue working in the maintenance, bugfix and promotion of the game, by providing downloads for the gamefiles and Game Keys, tutorials, tips and support. Our goal is to keep this free game alive.